On the SD C planning site the Hope is pictured like this. But not as it really is -as inset- ‘roofless’. A bit like the developers maybe. 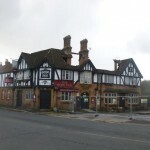 Sedgemoor District Council has today registered a planning application from Land Promotions ltd for the Demolition of the Hope Inn former Public House on Taunton road and ancillary dwelling, the erection of a two/three storey building to form 22 apartments (15, two bedroom and 7, one bedroom), and the formation of parking and amenity space. The application can be viewed here on the SDC planning portal with a deadline for comments by the 26th May 2015. 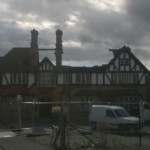 The Hope Inn has been the subject of a desperate battle to fend off demolition by Westover ward councillors, the Town Council and the Civic Society, which resulted in the property being put on the Community Asset Register and a stop order being placed by SDC to halt demolition. 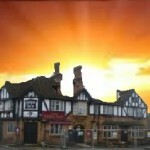 However, since this time the Hope Inn has been left roofless and open to all weather. Land Promotions is the company of Vince Nguyen which has been responsible for the demolition of several iconic public houses around Bridgwater and their replacement with housing projects. In November 2014 Chair of the Town Council’s Community Assets Panel, Westover councillor Brian Smedley wrote to Mr Nguyen asking him to meet with the towns people to discuss what was needed before destroying any more of our buildings. Cllr Kathy Pearce (Westover) said “We will certainly be objecting to this, principally on the grounds of over-development and impact of traffic generation on an already busy route, which is only going to get worse with the Hinkley C development. Whilst, sadly, it is not looking likely that we will be able to save (what’s left of) the building, we need to do our best to get the best development possible on this important site in and out of the town. 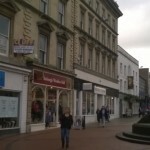 As always we will be asking for the views of the people of Bridgwater “.